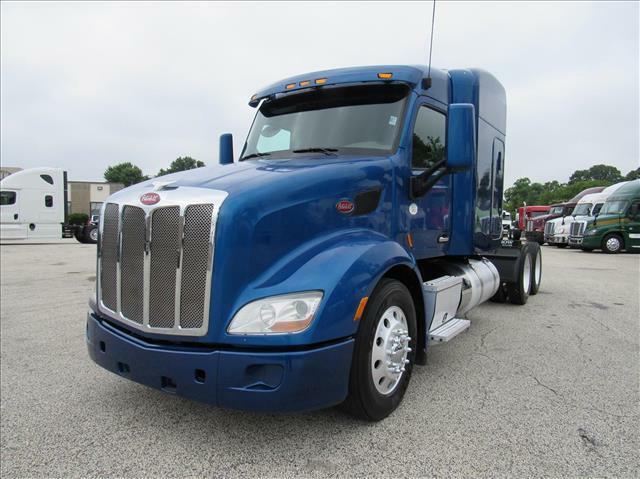 13 Speed Pete This beautiful Peterbilt 579 has been fleet maintained, meaning optimal fuel mileage and great maintenance history, but this isn't your ordinary fleet truck. It is equipped with a 13 speed, navigation screen, heated mirrors, tilt/tele steering, and a 72" sleeper. This truck will turn heads going down the road. DOT ready, PM serviced and professionally detailed.